One single score, aggregated from critics. Global Wine Score combines over 350,000 professional ratings into more than 26,000 Global Wine Scores for wines around the world. Use Global Wine Score to search for your favorite wines or discover the best wines from new regions. The Global Wine Score (GWS) is a worldwide rating which assesses wines with a single score, providing comprehensive and comparable information for all industry players. The Global Wine Score is an adjusted score aggregating the opinions of major wine critics from around the world. Our proprietary algorithm takes into account each critic's scoring habits and their grading scales to provide a single indicator which minimizes subjectivity. The modern era of wine journalism was born when Robert Parker popularized the 100-point grading system with the first issue of The Wine Advocate in 1978. This system, which is very simple to understand, yet complex enough to represent the diversity of wine quality, is now widely used in the wine world. Since 1978, wine ratings have been helping consumers choose wines to buy, to invest in and to enjoy. However, the growth of wine journalism has led to some confusion for consumers when trying to sift trough all of the information about wine available today. The Global Wine Score hopes to simplify this process for wine consumers and professionals by providing a single, unbiased score based on the aggregation of many expert opinions. 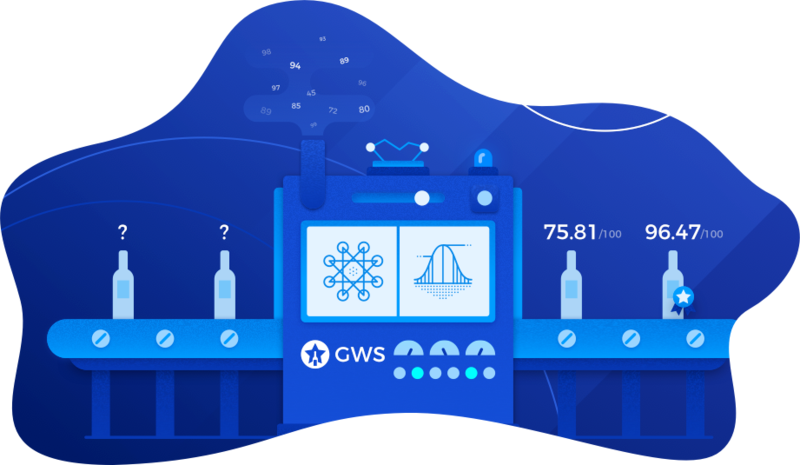 Our score aggregation is determined by a proprietary algorithm based on advanced tools of nonparametric statistics and machine learning developed by our team of data scientists (for a more detailed explanation, visit the page GWS: How it works). Global Wine Score combines ratings from various wine experts. We utilize journalists based on their influence in the wine industry.